St Patrick’s Gateway Centre Saturday 28th May 2016 at 8pm. 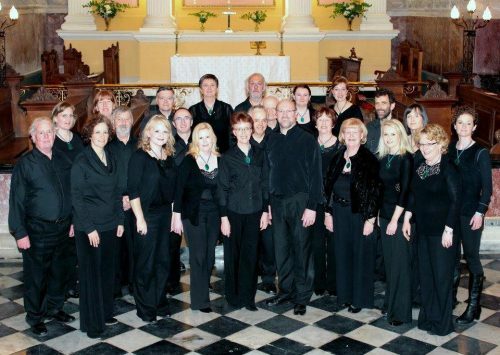 Madrigallery Chamber Choir – marking their 25th Anniversary will present a spring/summer concert of both sacred and secular music. The Concert will include Stabat Mater by Pergolesi set in four parts, Hear My Prayer (O for the Wings of a Dove) by Mendelssohn, and Mozart’s Laudate Dominum. The Stabat Mater is a hymn to Mary which portrays her suffering as the mother of Jesus Christ. Originally set as a duet for soprano and alto, the version to be preformed is arranged for SATB Chorus by Desmond Ratcliffe. Hear My Prayer is one of Mendelssohn’s most famous works and includes the well known O for the Wings of a Dove. Mozart’s Laudate Dominum is an uplifting piece – ‘Sing Praises, all you peoples, sing praises to the Lord’ and is taken from Vesperae Solennes de Confessor K339. In keeping with their name the Choir will also perform a selection of Madrigals. Madrigallery will be accompanied by soloists soprano Roisin O’Grady and contralto Sandra Wickham aswell as a string orchestra led by Eimear Heeney and conducted by Kevin O’Carroll. The event is a fantastic opportunity to hear these wonderful choral works performed by singers from Waterford. This entry was posted on May 11, 2016 by waterfordarts in Musical, Performance and tagged Chamber Choir, madrigallery chamber choir, St Patrick's Gateway.